The World We Inhabit Is Not Only Fast Faced, But Also Short On Human Ties And Emotional Bond. In Such a Scenario, a Book Can Become A True Friend. Ernest Hemmingway says, “There is no friend as loyal as a book”. The saying could not be truer than in the times we are living in. Not only does it give us company, but also takes us on flights of fancy to new lands and new people. Be it for children or working professionals or parents, reading is a friend one can always escape to. Moving with the times, the reading habits of people are also undergoing change. There is a move towards a quick read. Be it the news brief in four lines or a lifestyle snippet in a para or even Shakespeare, everyone wants it short and crisp. That is where graphic novels fit in. The term ‘graphic novel’, while relatively new, applies to those comic books that are slightly more mature in subject and content, and of a longer length, as opposed to comic books that are often serialized. Comic books and graphic novels are an extremely popular medium today with a global reach and widespread avid readership. As a form of entertainment, they have a mass following among young people. 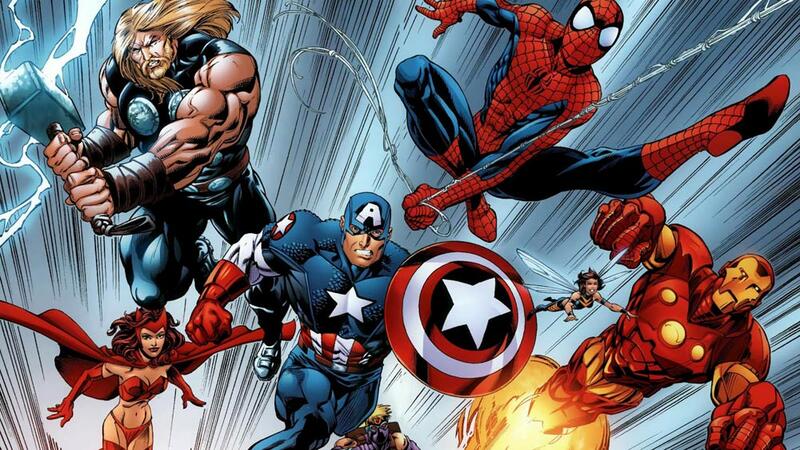 Even the movie industry has adapted comic book characters such as Batman, Spiderman, Superman, the X-Men, the Avengers, etc. The immensely popular television series The Walking Dead was also based on a comic book series. Graphic novels have now established a stronghold in the world of literature and are now considered to be a valid literary medium. With their perfect blend of text and images, they can present a narrative in a manner which is distinct from the traditional written words. A lot depends on the treatment that is given to the art, which contributes to the overall experience in reading a graphic novel. They can present ideas and emotions in a way that contrasts from a traditional novel. While there are graphic novel adaptations of well-known classics and modern literary works that do serve the need for a quicker read, the way the reader engages with them is as different from the original as a cinema adaptation. A text supported by graphics has always been an easy way of assimilating information. The way the text is presented, for instance, through fonts, sound effects, treatment of captions, dialogue balloons and thought bubbles which express clearly what is happening in the narrative, leaves a lasting impression. The images, too, can be manipulated according to the desired effect, such as the treatment of colour, light and shade and composition which in turn can express without any words or very limited use of them. How are they useful to entrepreneurs, professionals and businessmen? On a more professional front, some big corporate houses have learnt to utilise graphic novels as a medium for staff training purposes. Several organisations have converted their training manuals into a graphic format to facilitate easier learning and retention. Graphic novels can also be used by entrepreneurs and businessmen for publicity, advertisements and as brand enhancement tools. So, not only are they a versatile medium of expression, but they also have a wider outreach. If you feel like you have lost touch with reading, pick up a graphic novel today and rekindle the old love. This article is written by Girija Jhunjhunwala, Director Campfire.